A militant faction based in Jabal Turkman, in the north of Syria's Lattakia governorate, released a video of a joint attack it waged with Ansar al-Islam against regime military positions in the area. Ansar al-Islam, an Egypt-based group that had previously claimed credit for the October 20, 2017, clash with security forces in the Bahariya Oasis, condemned the Rawdah mosque attack and warned its perpetrators. 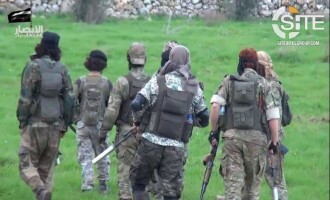 The jihadi group Ansar al-Islam urged jihadi factions in the northern countryside of Aleppo, Syria, to confront the Islamic State (IS), both militarily and religiously, warning that if the IS succeeds in taking their positions then it is the “beginning of the end”. The Iraq-based jihadi group Ansar al-Islam released a video focusing on its training camp named in honor of radical Pakistani cleric Abdul Rashid Ghazi. The Iraq-based jihadi group Ansar al-Islam released two more picture sets from its training camp it named in honor of radical Pakistani cleric Abdul Rashid Ghazi. The Iraq-based jihadi group Ansar al-Islam released additional pictures from its training camp named in honor of slain radical Pakistani cleric Abdul Rashid Ghazi. The Iraq-based jihadi group Ansar al-Islam gave Eid al-Adha greetings to Indians, Kurds and Syrians, and addressed each group of people with messages promoting jihad and Shariah and rejecting democracy. Ansar al-Islam released a record of its failed negotiations with the al-Qaeda-affiliated Islamic State in Iraq and the Levant (ISIL) to end hostilities between the groups, and said that its fighters will strike back against the ISIL. The jihadi media groups al-Masada Media Foundation and Fursan al-Balagh released a statement signed by 12 prominent jihadists including Abu Sa'ad al-'Amili and Nasser al-Qaeda, addressing discord in the online community over the Islamic State in Iraq and the Levant (ISIL). After one of its administrators disparaged the al-Qaeda-affiliated Islamic State in Iraq and the Levant (ISIL) on Twitter, the Ansar al-Mujahideen Network issued a statement seeking to quell the controversy and offering advice. After nearly a year of alleged attacks against its fighters by the Islamic State in Iraq and the Levant (ISIL), Ansar al-Islam's leadership announced that it will now fight back, but is still open to peace initiatives. 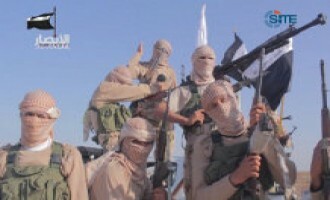 The Iraq-based jihadi group Ansar al-Islam called on Sunnis in Iran to seek independence and prepare themselves for jihad against the Iranian government. 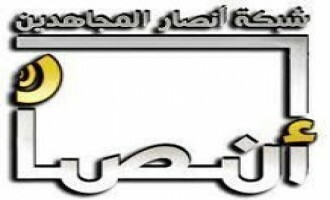 The page "Al-Thabaat," meaning "steadfastness" in Arabic, serves as the primary mouthpiece on Facebook for the Iraqi al-Qaeda-affiliated jihadi group, Ansar al-Islam (AAI). Ansar al-Islam reported on an incident in Iraq's Ninawa province involving a clash between its fighters and members of a gang that steals in its name, and reiterated to Sunnis that it would never transgress against them. The "Shariah and Justice Department" of Ansar al-Islam responded to a grievance towards it from Sunnis in the northern Iraqi city of Mosul, denying that it illegally took money from them for jihad, and charging Iraqi and Kurdish gangs with responsibility. 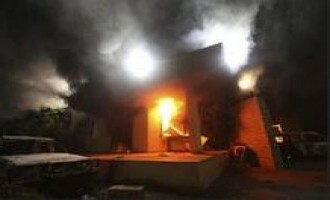 The Iraq-based Ansar al-Islam claimed responsibility for 48 attacks against Iraqi forces in Kirkuk province between April 23 and May 29, 2013, in a revenge for a deadly raid on a protest encampment in the city of Hawija in April. Ansar al-Islam released a documentary-style video tracing its establishment in Iraqi Kurdistan and its development through the first year of the US-led war in Iraq, and declaring itself a global jihadi group. 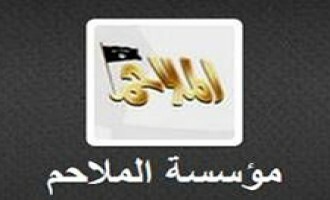 Ansar al-Islam, an Iraq-based jihadi group, announced that it has joined the social networking website Twitter, telling supporters it wished to expand its presence to other platforms. The Command of Ansar al-Islam addressed jihadi leaders in Syria in an alleged statement, advising them to reject nationalism and adopt the implementation of Shariah-based governance as their goal. 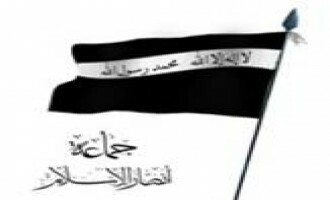 Ansar al-Islam called upon Iraqi Sunnis to support jihad against the Shi'ite-led Iraqi government, claiming that the Shi'ite "conspiracy" in the country is "more dangerous than the Zio-Crusader plot". Ansar al-Islam declared that it has renewed its pledge to its leader, thus reinforcing its commitment to fight, and gave warnings to Sunni landowners, police, and soldiers against any action that might benefit the Shi'ite-led Iraqi government and Shi'ites in general. 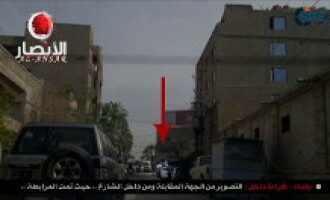 Ansar al-Islam released a video focusing on the November 25, 2012, suicide bombing in Rabia, a town along the Iraqi-Syrian border in Ninawa province in Iraq, in which over 30 Shi'ite militia elements were reportedly killed. Ansar al-Islam claimed responsibility for a suicide bombing against Shi'ite militia elements in Rabia, an Iraqi border crossing town between Iraq and Syria, and announced that the attack came in support of imprisoned Sunni women in both countries. The leader of Ansar al-Islam, Abu Hashim Muhammad bin Abdul Rahman al-Ibrahim, issued a message for the occasion of Eid al-Adha, the Festival of Sacrifice, rallying fighters and calling for uprising Muslims to reject the "moderate movement". 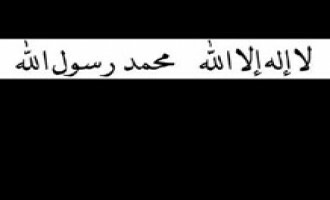 Ansar al-Islam gave a eulogy for Abu Yahya al-Libi, praising him for his knowledge and his actions within jihad, and recalling his being a "companion on the path" of one of its slain commanders, Abu al-Darda'a a-Kurdi. 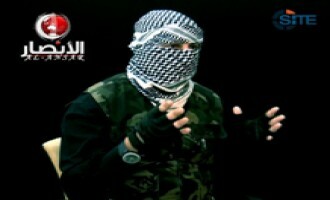 The Iraq-based Ansar al-Islam called upon Muslims to kill those who insulted the Prophet Muhammad, pointing to the people behind the controversial film "Innocence of Muslims," and exact retribution on those who support them. The Iraq-based Ansar al-Islam called upon Rohingya Muslims in Arakan, Burma (Myanmar), to do jihad and retaliate for what it calls the enemy's attempt to "annihilate" them, and encouraged all Muslims to support them with advice and money. The leadership of the Iraq-based Ansar al-Islam offered its condolences to Fatah al-Islam for the killing of its leader in Syria, Abu Hussam al-Shami AKA Abdul Aziz al-Kourkli. 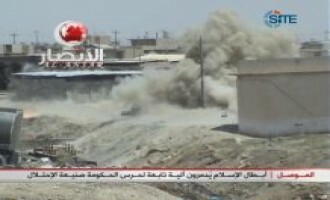 Ansar al-Islam released a video of detonating an improvised explosive device (IED) against an Iraqi Federal Police patrol in the al-Karrada district of Baghdad. Ansar al-Islam released a video of its fighters attacking Iraqi military barracks in the city of Mosul in Ninawa province of Iraq. 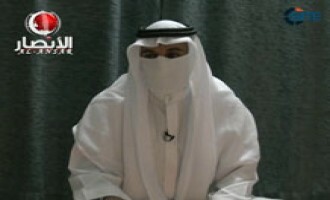 The 23-minute video is produced by the group's media arm, al-Ansar Foundation, and is the fifth episode in its "Protectors of the House" series. Abu Hashim Muhammad bin Abdul Rahman al-Ibrahim, the new leader of the Iraq-based jihadist group Ansar al-Islam, gave a speech addressed to the group's fighters and to Muslims in general, announcing Ansar al-Islam's continued dedication to jihad. Ansar al-Islam, an Iraq-based jihadist group, announced the appointment of its new leader, Abu Hashim Muhammad bin Abdul Rahman al-Ibrahim. Ansar al-Islam pledged to continue jihad against the Iraqi government, remarking that despite the withdrawal of American forces from the country, Iraq remains a "land of war." Ansar al-Islam released the fifth episode in its video series "Merciful Among Themselves," which presents to viewers scenes that depict mutual love and compassion between fighters and civilians. 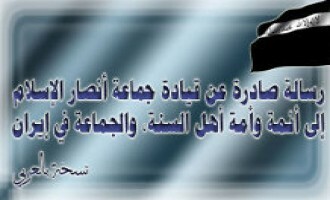 Ansar al-Islam released a message from its leadership for the occasion of Eid al-Adha (Festival of Sacrifice), congratulating Muslims for its arrival and commenting that gains made in the Arab Spring may be squandered by agents and opportunists. Ansar al-Islam released a video showcasing its Manufacturing and Development Department's production of rockets, silencers and thermal grenades in the first part of a new series called, "Inexhaustible Weapons." Al-Ansar Media Foundation, the media arm of Ansar al-Islam, released a video showing the bombing of what they say is a US military vehicle in Kirkuk province of Iraq. Ansar al-Islam, a jihadist faction in Iraq, claimed killing over 60 Iraqi security elements in multiple bombings in the Iraqi capital, Baghdad, and challenged the enemy's intelligence and spy networks to discover where the next bombings will occur. Ansar al-Islam released a preview for a forthcoming production titled, "Inexhaustible Weapons," which focuses on the group's development and manufacture of weapons. 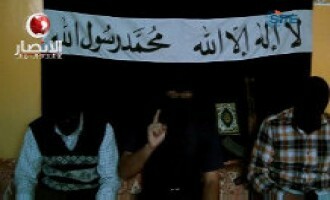 Ansar al-Islam, a jihadist faction in Iraq, rallied Muslims for jihad in a message issued on the occasion of Eid al-Fitr, which marks the end of the holy month of Ramadan. Ansar al-Islam, a militant faction in Iraq, released a video focusing on taking captives, and celebrating a slain commander who was a proponent of such tactics. 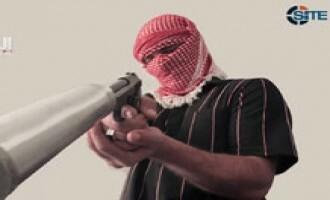 Ansar al-Islam, a militant faction in Iraq, rallied Sunni Muslims for jihad in a statement issued on the occasion of the holy month of Ramadan. 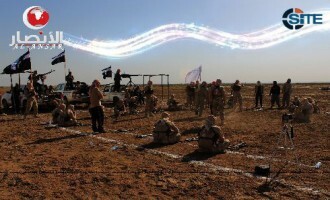 Ansar al-Islam, a militant faction in Iraq, denied a claim that it participated with Iranian forces in striking a camp of the Party of Free Life of Kurdistan (PJAK) in an area near the Iran-Iraq border. 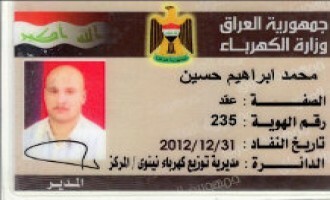 Ansar al-Islam claimed killing two Iraqi officials who work in the office of Iraqi Prime Minister Nuri al-Maliki in a communiqué issued on jihadist forums on July 12, 2011. Ansar al-Islam, a jihadist group in Iraq, charged that recent changes in the political landscape in Egypt and elsewhere in the Arab world are the result of an American plan to safeguard its interests and those of Israel. Ansar al-Islam’s media arm, al-Ansar Media Foundation, released a video of bombing what they say is an Iraqi armored military vehicle in the city of Mosul in Ninawa province of Iraq. 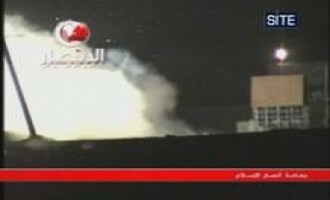 Ansar al-Islam’s media arm, al-Ansar Media Foundation, released a video of a fighter firing mortar shells at what they say is an American base in Baghdad province of Iraq. Ansar al-Islam’s media arm, al-Ansar Media Foundation, released a video showing what they say is a guided rocket attack on a US Humvee in Kirkuk province of Iraq.